My first attempt at half marathon was last year in Mt. Kinabalu. Given the lack of preparation and that it's dubbed as the toughest mountain race in the world, I was only able to go a total distance of 19.12 KM and was not able to complete the race within the cut-off time. 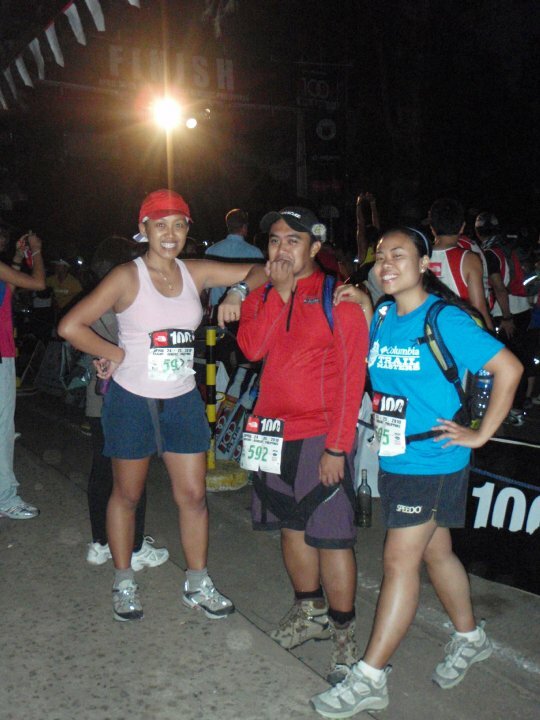 This time around,I was able to finish a 22KM trail run in 4 hours and a minute. That's still a novice finish but one that I am proud of. I crossed the finish line alongside my very good friend. I must admit that I also lacked adequate training for this one due to my schedule and temperamental attitude. I was only able to run about once a week a month before the race. I do find it amazing how far my unwavering guts and confidence took me. Aside from having the chance to run for free courtesy of R.O.X., I was also able to meet old friends from every where and dine at a place I haven't tried before. It's called Oh My Gulay located at the 5th floor of La Azotea building along Session road (near KFC). Though I was a bit sweaty and breathless from climbing the set of stairs (yeah, no elevators here), the interior was amazing. There's plants every where and old furnitures. Artsy is the word that comes to mind though I feel that it's an understatement for such wonderfully crafted place. It's owned by independent film editor Kidlat Tahimik. Oh My Gulay as its name implies, sells vegetarian dishes. Price range is around 100-300 pesos per dish. Here's a review I got from the web. (I didn't get to take pictures though so you just have to take my word for it. :P) It also offers a great view of the sunset so make sure you're at the highest level of the resto if you're into that. I'm not really a sunset person but I was drawn when I saw it. We also ran into this cafe called Choco-Late De Batirol which I read from my favorite - Dessert Comes First blog. It's in Scout Hill in Camp John Hay but we didn't get to try as it was still close when we went there. Write Up Here. I'm going to miss the affordable Baguio food and its cold weather. I really want to go back to Sagada and do the Manila-Bontoc-Sagada-Baguio route again.